Terry started his own website at http://www.turtlesalltheway.com/, but this site has now disappeared. Transworld has an official Terry Pratchett site at http://www.terrypratchett.co.uk/. He has a page on the social networking site bebo at http://terrydiscworld.bebo.com. There is a website by Terry's American publishers at http://www.terrypratchettbooks.com/. He did attend conventions. Check either a Discworld Convention or some other convention he may have attended. Terry has been on signing tours. See the man's person! Terry has had numerous appearances on TV and radio, some of which are listed here. Read the man in person! Here are some interviews with Terry. You'll find here some pictures of Terry. Terry has recently been awarded the Carnegie Award. See the press clippings for more information. Here is a list of the awards Terry Pratchett has won. While spending time on alt.fan.pratchett, Terry has said many things, some of which have been captured forever, here in part of the Pratchett Quote File. Somewhat like an interview, here are some Words From The Master. While at Warwick University, Terry also had things to say, also captured here. To find out what the people of the press have had to say about Terry Pratchett, check out these press clippings. What has Terry written? Here is a complete list of all his works, in the bibliography section. Want more? Try the alt.fan.pratchett FAQ. 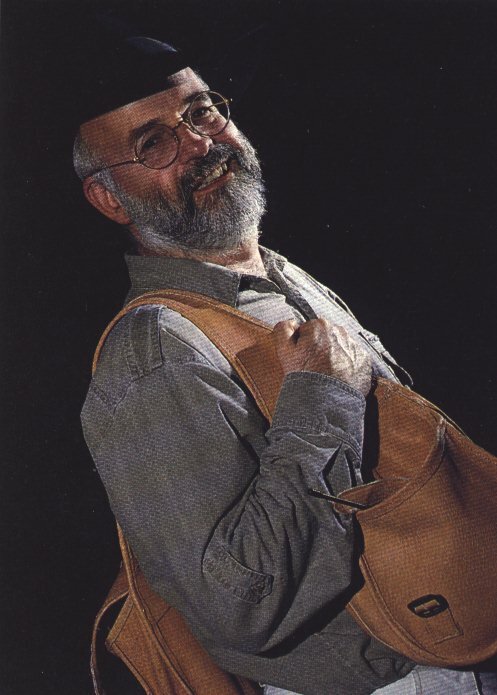 A large archive of all sorts of items related to Terry, check out The Colin Smythe Terry Pratchett Archive. Colin can be reached by email at CPSmythe@aol.com, or you can go to his website at http://www.colinsmythe.co.uk. If you are interested in interviewing Terry Pratchett a good place to start is contacting his agent Colin. The About Terry (and interviews) section of L-Space is maintained by Jamas Enright (thad@lspace.org).